We help people in several ways through our Community Services. Our Lifeskills Activities are delivered by specialist leaders and there’s a whole host of learning opportunities to be had. From learning about ICT to running a café. You name it, we do it! We also put together an exciting programme of things to do in the holidays too. This has much more of a social focus with people getting involved with activities locally and for days out to interesting places. 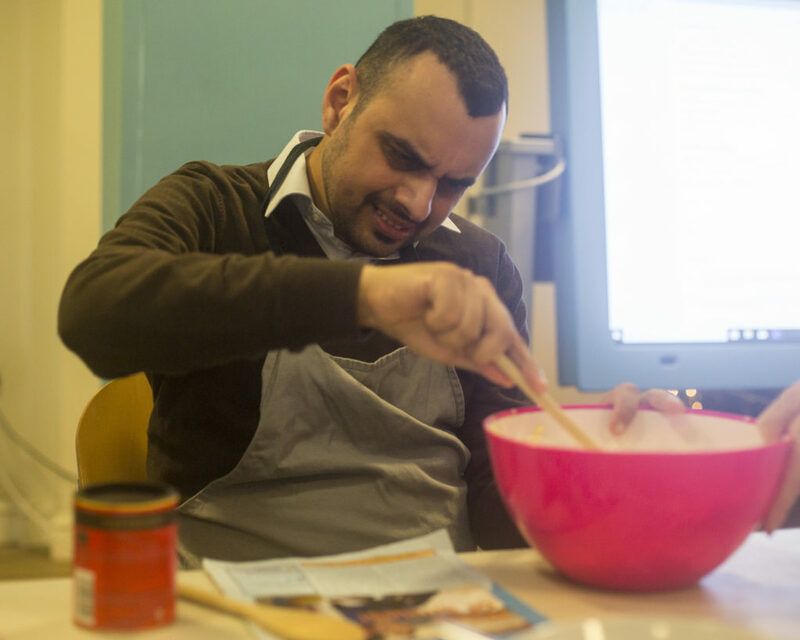 We talk to the people we support to find out the sorts of things they want to do. And then we do it! Our Home Care Support Service helps people in their own homes with the daily essentials of life, like getting up and ready for the day. But we also support people with their hobbies and interests, getting out and about on days away, holidays and socialising with friends and family too. Our work doesn’t end here. We help people with a wide range of abilities and their families and carers in so many other ways too. Why not find out about our other services: Residential, Children’s Club, Social Clubs and Dream Days? Contact us if you’d like to know more about our Community Services.